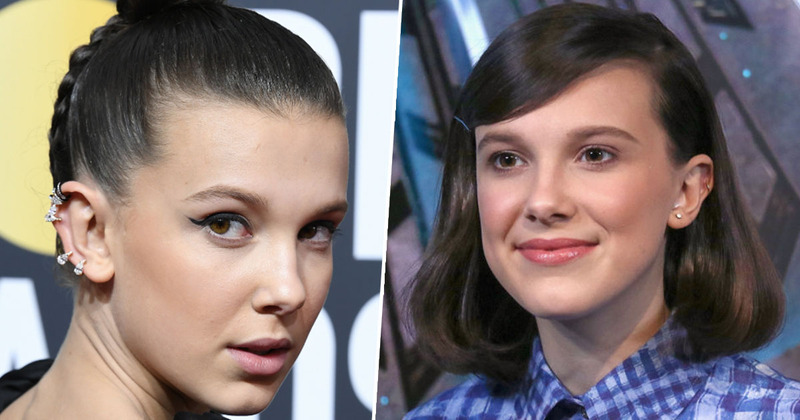 Millie Bobby Brown has destroyed trolls who criticised her outfit choice and told her to ‘act her age’. As a very well-known actor in an extremely popular TV show, the 14-year-old Stranger Things star no doubt attends many glamorous events. She probably has a stylist to help her pick out clothes, and a make-up artist on hand to help her get ready for photoshoots; it comes with the territory. Even if that wasn’t her lifestyle, Millie would of course have the choice to dress however she wanted, but still, internet trolls have found something to complain about. Last week, the star posted a photo of herself to Instagram, in which she was posing on a staircase while wearing a snakeskin dress with a pair of black heels. The photo received over two million likes and was met with many compliments from loving fans. Yet, despite the fact it didn’t actually affect them in any way, some trolls decided to voice their negative opinions of Millie’s outfit. Many people defended the Stranger Things star against the trolls, posting appreciative comments of her outfit, while pointing out she has the right to dress however she wants to. Please. I had a snakeskin print outfit AND a faux leopard fur vest when I was 10 years old. I looked cool and so does Millie. Relax. I just read what some have said about your outfit. Please ignore the hatets/trolls. [sic] You are an intelligent, beautiful young woman. If I had a daughter, I would be happy to see her so strong, and smart. 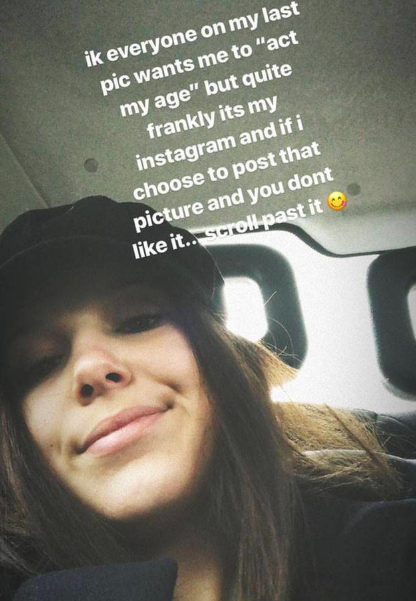 In response to the criticism, Millie later posted a selfie to her Instagram story with a caption slamming the trolls, essentially telling them to mind their own business. ik everyone on my last pic wants me to ‘act my age’ but quite frankly its my instagram and if I choose to post that picture and you don’t like it… scroll past it [sic]. She deleted the story shortly afterwards, but hopefully people still got the message. You just keep doing you, Millie!